Mango Bling Jacket, the first beer in our new Sour Ale series, debuts tomorrow. Bling Jacket is anything but basic. Fashioned with lactose, vanilla, and ample fruit. Juicy. Tart. This first test batch will only be available on draft, with 4-packs coming next month. 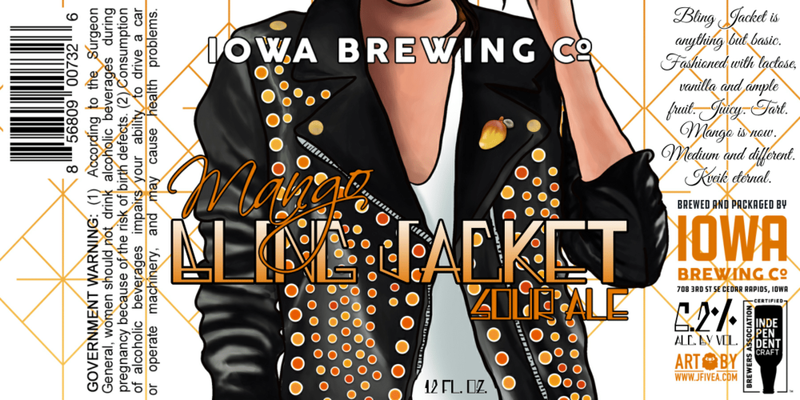 Mango Bling Jacket will go on tap in our taproom on Wednesday, January 15th, and a limited number of kegs will be distributed in Eastern and Central Iowa.